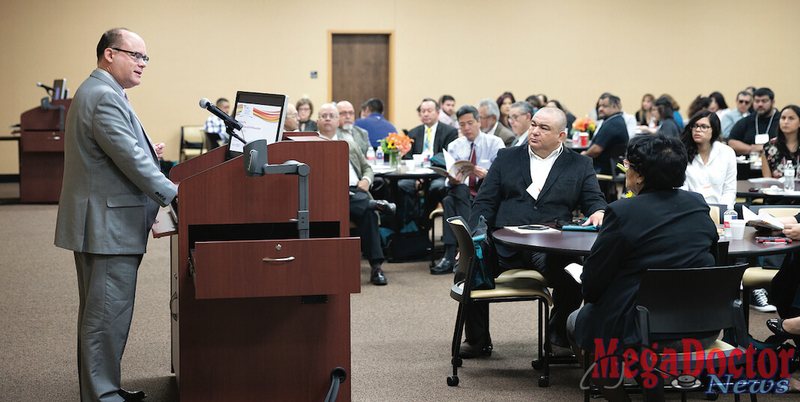 Edinburg, Texas –– The University of Texas Rio Grande Valley School of Medicine’s Counseling and Wellness Services and its community partners is hosted the second annual Mental Health, Substance Abuse and Hiv Prevention Conference, Sept. 22-23 at the Region One Education Service Center. The conference brings together professional healthcare providers, indigenous healers, community health workers and residents to discuss the delivery of prevention and treatment services within a cultural, holistic and interdisciplinary framework. Attendees had the opportunity to hear from healthcare professionals on issues related to treating mental illness, addictions, and HIV and other sexually transmitted infections. They also are participated in breakout sessions. The conference also provided information on the efforts the School of Medicine is making to create awareness about substance abuse and the HIV/AIDS problems in the community, and its prevention efforts to educate young adults on campus and throughout the community. Also on the agenda was a discussion about the stigma associated with seeking treatment for mental health disorders and HIV/AIDS.